EMMA'S EATERY: PORCHETTA & CO.
Twitter sometimes really is just the best, because it is through people you are following that you discover really cool new places - and for me, this was Porchetta & Co. 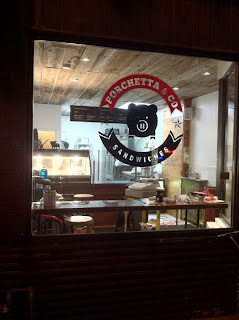 I started following them before they had opened, and have been waiting patiently for the opening to try out their mouthwatering porchetta sandwiches! With the business of the Christmas season finally over, I just got there yesterday, and I am so happy that I did. I ended up going on a solo mission after my orientation for George Brown Chef School but after raving to my friends for the past day, I think there will be many more visits to come! 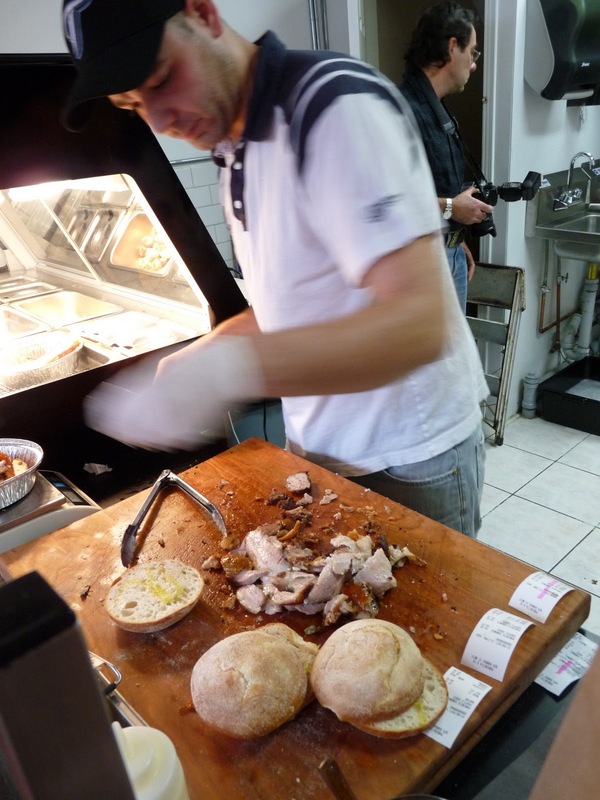 The place is small and specializes stricly in porchetta based sandwiches. They have a porchetta plate, soups, delicious sides and great sauce&toppings for the super simple yet flavour filled sandwich. 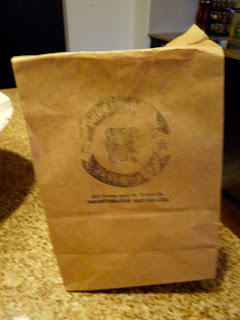 Simple and real food, former Canoe and Drake Hotel chef Nick auf der Mauer knows what he is doing. Focusing on one exciting ingredient keeps it simple yet fabulous. The porchetta filling is a trio of tender pork shoulder, salty prosciutto and fatty cured belly. You could literally hear the crack from the crispy exterior being broken as the sandwich was being made. Talk about one small little noise knowing how to excite someone for the delicious lunch to come! The sandwhich I ended up getting was topped with rapini and their truffle sauce. Truffles, me? Duh! But there are so many other great topping combinations that I will be sure to try! 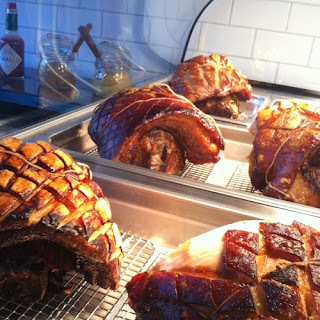 Porchetta & Co. is a real shop doing what they know best - porchetta. There is a lot of love and soul in the place, you just feel it the minute you walk in! All you meat lovers head on over to Dundas West for a truly new sandwich experience. Keep up the amazing work!! Oooo! That close-up of the sandwich looks so delicious, especially with the belly peeking out. Can't wait to make may way to try one soon. Thanks!